* Excellent flavor and vapor. * Large stainless steel tank. * See through coil window. 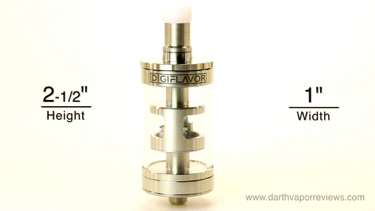 The Digiflavor Siren 25 GTA comes in a sturdy, cardboard box. 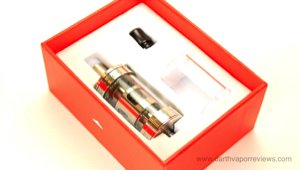 Included in the kit is a three-way Allen Key, a bag of spare parts, a Delrin drip tip, a replacement glass tube and the Siren 25 GTA tank. 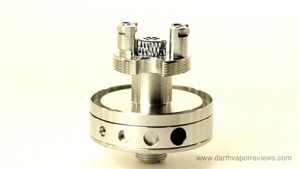 The Siren GTA features an inner chamber where you can see your coils. It has four different sized airflow holes on the bottom ring. The Siren is roughly 2-1/2" in height by 1" in width. The deck has an oil film cap that can be removed for cleaning. 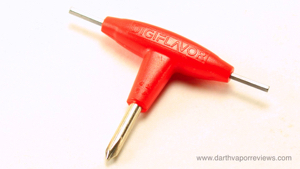 Use the included three-way Allen Key to loosen the deck screws. I was very impressed with the Siren GTA. The stainless steel body has a great look. I find it hard to see the coil inside the chamber after a few puffs as it can get a little foggy, but I still love the idea behind it. My only cons are no instruction manual and it would be nice if it had an included coil or two to get started. Overall, a great mouth to lung tank. If you would like to pick up the Digiflavor Siren 25 GTA kit for yourself, just click on the link or logo below. Have an excellent day and may the Vape be with you! Add and tighten your coil to the deck. 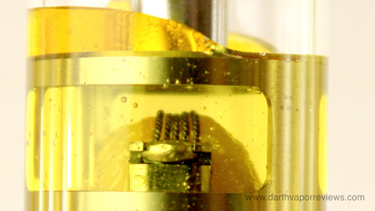 The space is a little tight so make sure your coil is not touching the oil film cap. Add your wick. Tuck the wick into the slots on the side of the deck so that the chamber will easily fit over it. 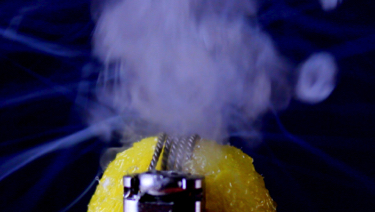 Add your favorite e-liquid to the wick. Fire the coils to test. Add the chamber and tank and secure tightly. Remove the top cap to add e-liquid. Drop e-liquid through one of the two slots in the top. The Siren GTA can hold up to 5 milliliters of e-liquid.